Our community is concerned about youth suicide. If you think someone is at risk of suicide, ask for help. If someone is harming him/herself right now, call 911. Show you care. Take any threat or talk about suicide seriously. Start by telling the person you are concerned. I am worried about you because _____________. I want to help. Ask the question. 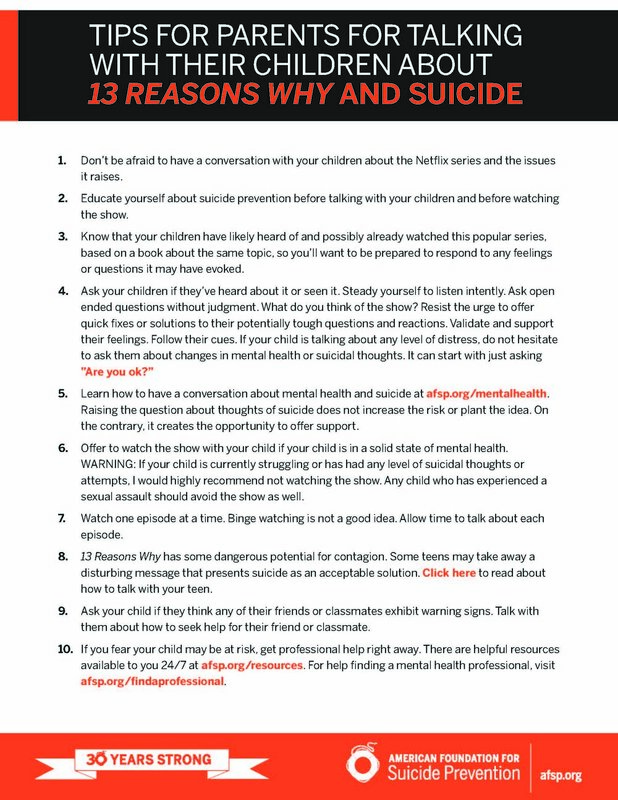 Don't be afraid to ask if he or she is thinking about suicide or has a plan or method in mind. Get help. Resist the temptation to "argue them out it." Instead, seek professional help and do not leave them alone. You are not alone. Let me help you find help. Forefront: Innovations in Suicide Prevention advances innovative approaches to suicide prevention through policy change, professional training, campus- and school-based interventions, media outreach, and support for persons affected by suicide.